Lead time for Prototype is 10 days and that for formal order is 15 days. As international express time is 4-6 business days, you can expect to receive your products within 25 days after you place order to us. Additionally, if your order is urgent, please do not hesitate to let us know in advance, we will give free priority to your order, you may receive your products within 15 days or even earlier. 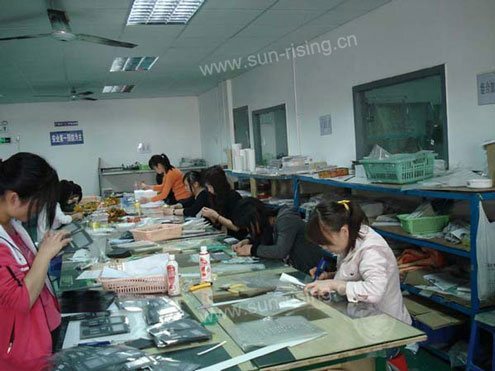 to make a few membrane switch samples for new customer’s evaluation, this special offer would help you get to know Sun Rising’s product quality and manufacturing capability quickly at a neglectable cost. 20 years’ producing experience and 12 years’ exporting experience. stable working team and high producing efficiency. 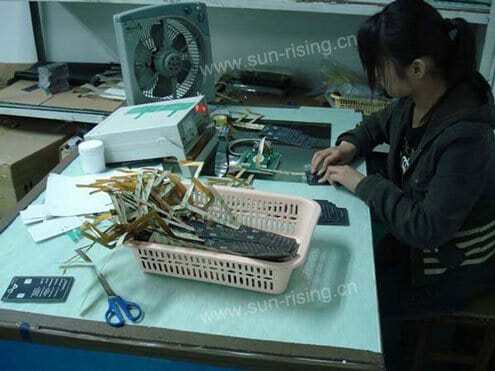 Sun Rising Can produce all kinds of membrane switch. 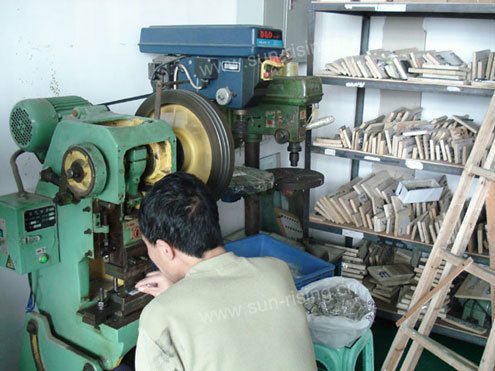 We have developed many old foreign customers, some of them have been cooperating with us for more than 10 years. All keys and LEDs in all membrane switch are 100% tested before delivery. 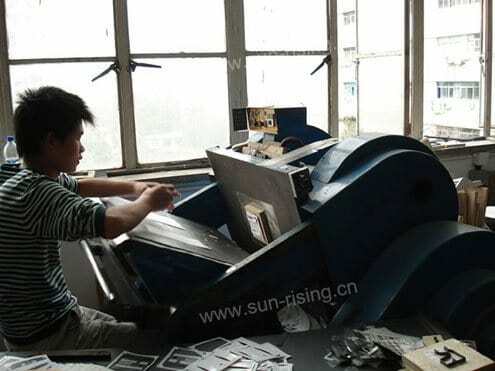 Two people compose one group to operate printing graphic overlay, one prints, the other check printing result at same time. Keys are tested by actuation life machine and we guarantee 1 million actuation life for keys with Autotype PET as graphic overlay. 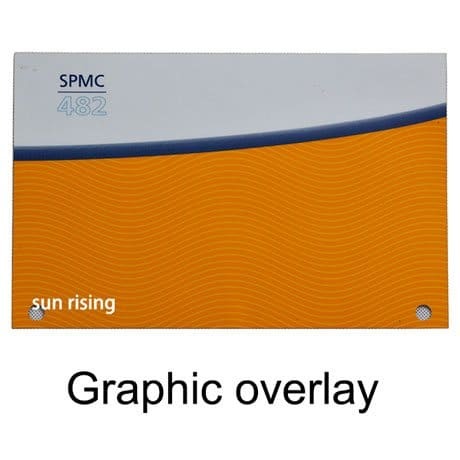 We always clean all graphic overlays on membrane switches by soft cloth before delivery. 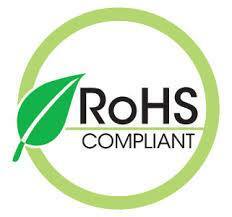 All our products have passed ROHS test. If our customer is not satisfied with samples, we will remake or return back payment. 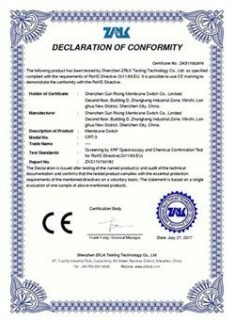 And if the products do not match confirmed samples or products have quality problem during one year’s guarantee: for example, if silver line become brittle and broken, we will reproduce or return back products’ amount. Our printing system accepts files with CorelDraw, Adobe Illustrator or CAD with all texts curved. How do you pack products? Gross weight for each carton is less than 12 kgs, with package of plastic bag, bubble sheet and paper carton. How to judge good or bad quality? Color: quality membrane switch has bright and beautiful colors which match those on Pantone color (or PAL) card or color sample that customer offer; poor quality membrane switch has uncomfortable colors which do not match what customer appoint. 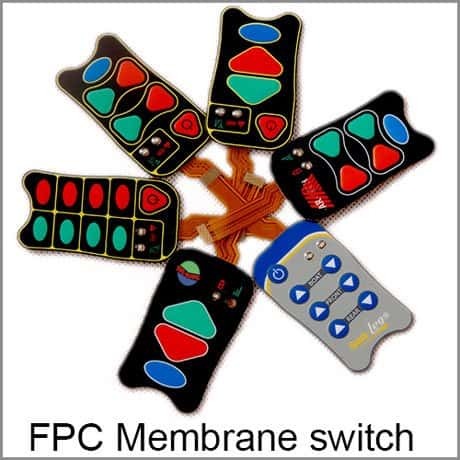 Grasping the edge of membrane switch: it is good quality if feeling stiff; it is poor quality if feeling soft. Silver circuitry quality: after one year’s use, silver circuitry with good quality will not change; while that with poor quality will become perishing, which results in open or broken circuitry. Should I select PC or PET; glossy surface or sand surface? If you have an application for < 50000 actuations, polycarbonate is a good choice; otherwise polyester is the material of choice. Tactile keys made of polyester as overlay can be actuated over 1,000,000 times without showing signs of wear. Sand surface diffuse light, while glossy surface reflect light parallel, so we can read graphic overlay with sand surface easily under light and sand surface is more popular than glossy surface. What mistakes are often made by our customers during designing and assembling. Customer should offer Pantone Color No. U for sand surface and Pantone Color No. C for glossy surface. Mistake 2: Closed frame line is less than 4 mm from the outer edge off the membrane. 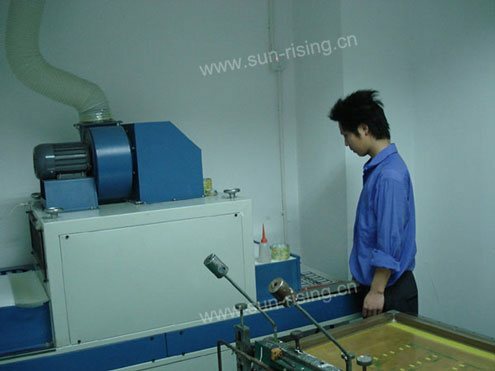 Printing tooling has error of +/-0.2 mm, closed frame line is difficult to be centered and is prohibited, but interrupted line can avoid the error and is permitted, as we can print interrupted lines separately. Mistake 3: Use ZIF connector with slip clock as Interface connector. Mistake 4: Bending membrane switch sharply when assembling. As LEDs are glued on screen printed flex circuit, bending may damage the contact between LEDs and circuitry and cause blind lamp; that also may cause broken metal domes inside. key information do we need for manufacture. 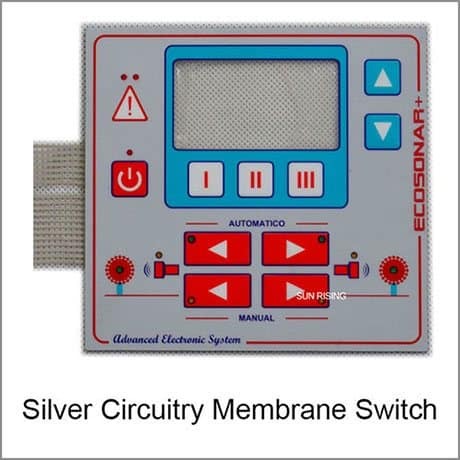 attentions for designing and installing membrane switch. mechanical restrictions for locating LEDs, LCD window, switches and tail’s output position. PET has to be Britain Autotype brand. 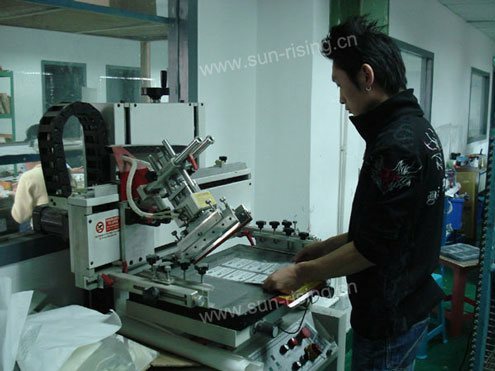 Shenzhen Sun Rising Membrane Switch Co., Ltd .
Building D, Zhangkeng Industrial Zone, Minzhi, Longhua New District, Shenzhen City, China.